This aspect of the curriculum is invaluable in supporting each child’s journey towards independence, and fulfilling their natural curiosity. We provide materials that are real, familiar and functional and encourage exercises that include pouring, carrying, balancing and washing hands. These purposeful movements allow each child to develop control and coordination of movement, thereby honing their muscular abilities. Practising grace and courtesy to other people is also part of this area. The emphasis is to capitalise on the fact that children use all their senses to learn. We ensure that equipment encompasses all five senses; sight, touch, sound, smell and taste to stimulate learning and help the child consider their surroundings. The child might explore texture with their fingertips on rough and smooth boards; or geometric solids by their shape in their hands. This supports the ability to classify objects visually, aurally, by touch, weight or any other means. The materials in this area allow the children to explore mathematical concepts with their hands, helping them to really understand the ideas. With the teachers’ help their understanding progresses from the concrete to the abstract and from the simple to more complex, giving them a really solid grounding for future mathematical learning. Children are preparing to write and read from the minute they come into the classroom. We aim to build all the individual skills needed as they naturally progress through this gradual process. We build phonic awareness with the sounds and symbols of the alphabet, and provide varied and beautiful materials to allow the creation of sounds and words. We acknowledge that in learning to write, children must master handling the writing instrument, as well as forming the shape of the letter. For this reason, many of our practical life exercises will have been helping to develop the muscular movements of the hand and arm which will facilitate later writing. With this varied approach, where so many of the skills are introduced unconsciously, we make learning easy and great fun, and provide a stable base for the next stage. Cultural studies include geography, history, biology, botany, and zoology; as well as art and music. They are explored with a hands-on approach, given that children learn most effectively from their own experiences. We have an extensive range of beautiful wooden maps to explore continents and countries; we explore the food and music from other cultures and consider the life-cycles and habitats of the animal kingdom. Art is integrated into all aspects of the curriculum and art materials are always accessible. It is an important way for the children to express themselves. Our Music curriculum uses the techniques of Kodály. The children have fun singing and playing instruments, exploring and absorbing early music theory in a totally unconscious way. 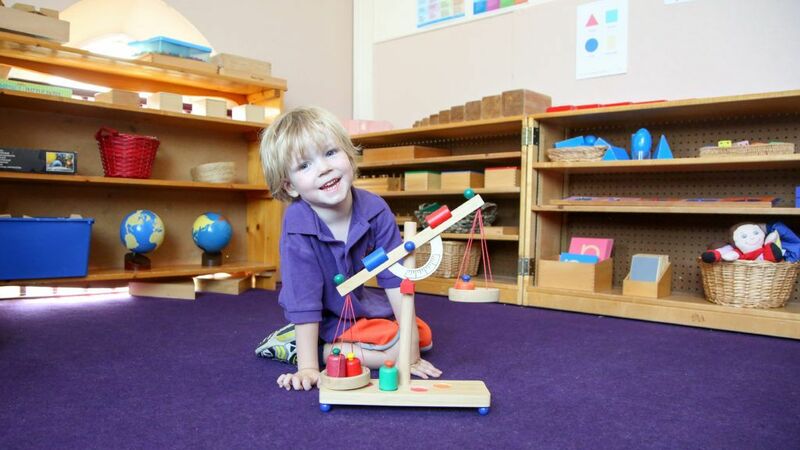 Throughout their week at the nursery, children will experience drama, yoga, gardening, cooking and science.